Radiologic Sciences from Weber State University, Ogden, Utah in the Radiology Practitioner Assistant Program. He then became certified as a Registered Radiologist Assisant through the ARRT. 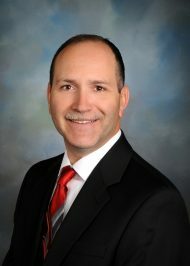 He was certified as a Radiologic Technologist in 1995, Radiologist Assistant in 2006, and a Certified Physician Assistant in 2012, working in locations such as; Watson Clinic, Lakeland, Florida and Lakeland Regional Medical Center, Lakeland, Florida. In his free time, Bill likes to spend time with his family and enjoying the outdoors.